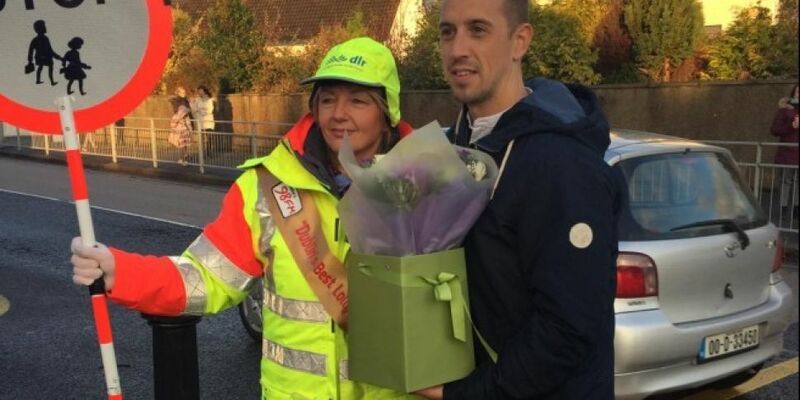 This morning on 98FM’s Big Breakfast, Fiona Ryan from Our Lady of the Wayside School in Kilternan was crowned Dublin’s Best Lollipop Person! Fiona has been working as a Lollipop lady for nearly twenty years and the students, parents and teachers absolutely love her. Luke left 98FM studios early this morning and hit the road for Kilternan where he surprised Fiona during her morning shift! Not only has Fiona been named Lollipop person of the Year, we're treating her to a well deserved break in the Galmont Hotel & Spa in Galway. A big congrats to everyone that was nominated this year. All their hard work and kindness throughout the year definitely doesn't go unnoticed and from all of us at 98FM, we'd like to say a big thank you for keeping the kids safe.